The Canadian Canoe Museum held a free Open House on Sunday, and got help in the celebrations from model railroad enthusiasts. Clubs from Peterborough, Cobourg and Lindsay showed off their 1/87th scale trains and miniature villages. 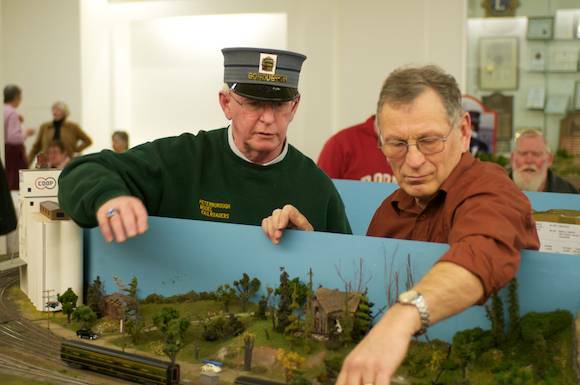 The local group Peterborough Model Railroaders is made up of a group of nine who meet up monthly to talk about their passion. All of them have had a part in creating the display, which features a miniature village that would be reminiscent of Peterborough in the 1950s. With working lights and sounds of an actual locomotive, the display captured the imagination of everyone in attendance as there were plenty of details to see.